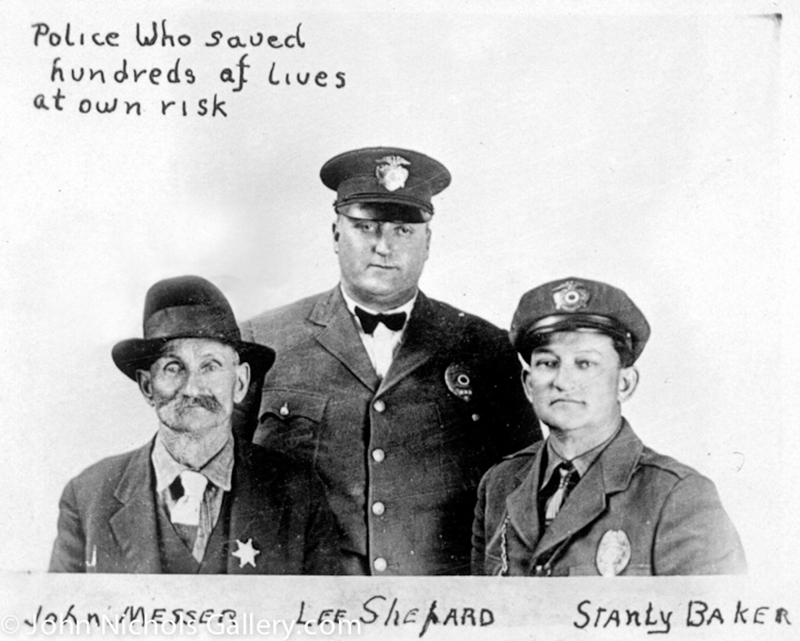 SCVHistory.com NG4026 | St. Francis Dam Disaster | Officers Lee Shepard, Stanley Baker, John Messer; Disaster Heroes. It was 2:05 a.m. before Santa Paula Police Chief Lee Shepard got word that the St. Francis Dam in faraway Saugus had failed, and yes, he needed to worry about it. By that time, switchboard operator Louise Gipe, sitting in her candle-lit telephone office — the lights had gone out at 12:45 a.m. — had relayed the message to other officers. First on her list was state Highway Patrolman Thornton Edwards, who'd never heard of the St. Francis Dam. Regardless, he started going door-to-door to warn neighbors, many of whom were similarly unaware. Shortly before two o'clock Santa Paula motorcycle officer Stanley Baker joined Edwards, and the tempo of pandemonium increased. When someone came out to see what the commotion was about, the officers would stop, give orders to evacuate, and instruct the person to pass the warning along. Thus relative called relative and neighbor aroused neighbor until slowly, but with increasing momentum, the streets came alive with fleeing people. Historian John Nichols notes that Constable John Messer "also helped spread the warning to sleeping citizens" (Nichols 2002:24), saving untold numbers of lives. The heroes who spread the warning message in Santa Paula are immortalized in bronze as seen here. John Nichols, ©Donna Granata. Click to enlarge. 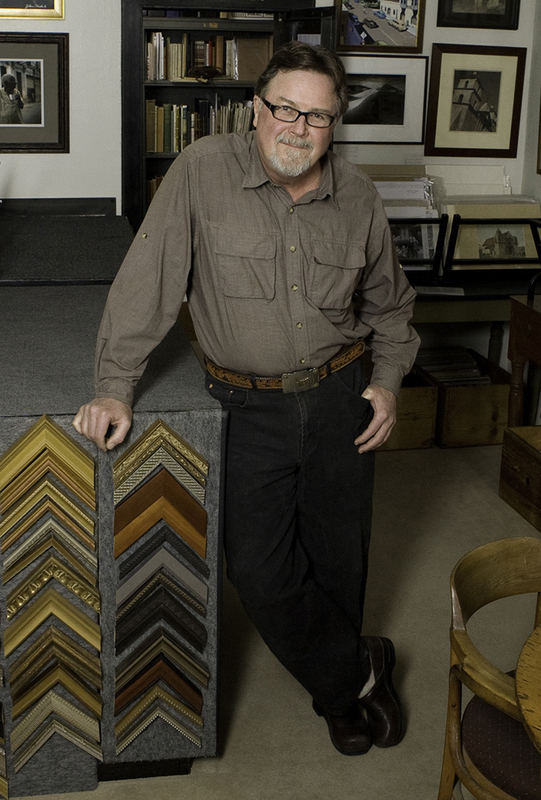 John Nichols is a historian, photographer, writer, art dealer and independent curator who developed several exhibits on the 1928 St. Francis Dam Disaster for the California Oil Museum. His research led to his first book for Arcadia Publishing, "St. Francis Dam Disaster" (2002). A subsequent exhibit led to the book, "Santa Paula Portrait Project: Paintings by Gail Pidduck and Photographs by John Nichols." A quarter-century of writing is compiled into his Kindle book, "Essay Man: Selected Essays and Writings," available from Amazon. He also published the art book, "Mexico: 1895 A Vernacular Album." 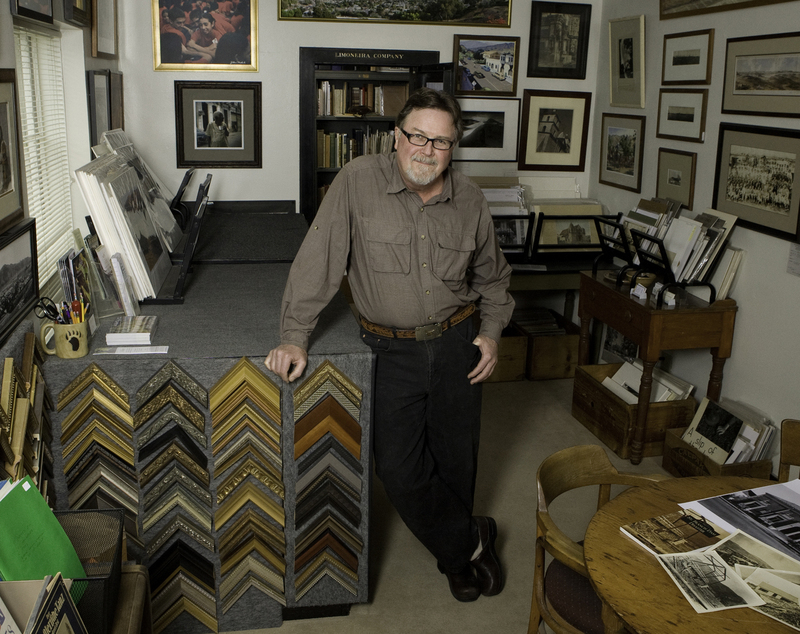 In 1984 he opened JohnNicholsGallery.com in historic downtown Santa Paula to exhibit and promote vintage and contemporary photography and art. A black-and-white darkroom photographer for more than 35 years, Nichols made the leap in 2002 to color photography and digital printing with state-of-the-art digital printers and archival pigmented inks. His photographs are found in the permanent collections of the Museum of Ventura County; Harry Ransom Humanities Research Center, University of Austin, Texas; Carnegie Art Museum, Oxnard; Santa Paula Art Museum; city of Ventura; Community Memorial Hospital of San Buenaventura; and numerous private collections. Nichols serves on the board of the Santa Paula Art Museum and the Universalist Unitarian Church of Santa Paula. He is a former board member of the Museum of Ventura County and chaired its Fine Arts Committee; he has served on the board of the Rotary Club of Santa Paula and is past president of the Santa Paula Historical Society. He was named Santa Paula Rotarian of the Year and Santa Paula Chamber of Commerce Business of the Year. Note: High-resolution scans of images in the John Nichols Collection are not available from SCVHistory.com. NG4026: Image courtesy of John Nichols Gallery.